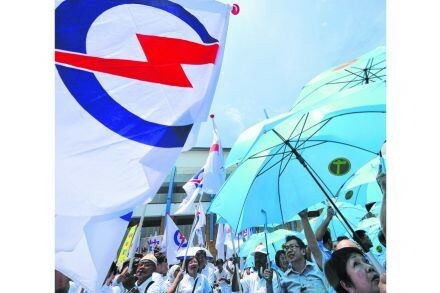 THE PAP Seniors Group, an advocacy body of the ruling People's Action Party (PAP), wants the government to take a tougher stand in pushing the rehiring age for older workers to 67. It has submitted a paper to the Ministry of Manpower (MOM), urging it to quickly introduce a law to raise the rehiring age - currently between 62 and 65. "While a promotional approach is probably a compromise between employers' concern over costs and lack of preparedness and the workers' needs, legislation is a more effective method in ensuring the rehiring of older workers beyond 65," the Seniors Group says in a five-page paper signed by its chairwoman, Halimah Yacob. The call for legislation came just after the government had accepted the recommendation of the Tripartite Committee on Employability of Older Workers to take a promotional approach to increase the rehiring age. This approach rewards companies with incentives if they raise the rehiring age to 67. There was no date fixed for laws to be introduced to make it compulsory. The Seniors Group says that while the promotional approach may work in the unionised sector (where unions can push employers to move the rehiring age up), it may not work in the non-unionised sector - where the majority of workers are employed. It's also invalid to say legislation needs to be delayed to let companies prepare for an older workforce, according to the Seniors Group; companies have been informed of the eventuality since 1993, it points out. "Also, we do not think that there is a need to make drastic changes merely to extend the rehiring age by another two years," the Seniors Group says. It further calls for companies to make better use of grants such as the Age Management Grant; and it says that the government should monitor the utilisation rate of these grants more closely to ensure better take-up to benefit older workers. The Seniors Group also pressed for review of several other issues, including better evaluation of training efforts of older workers, incentives to reward early moves in rehiring older workers, and disaggregating statistics to enable more focused policy improvements. Separately, the Seniors Group urged the PAP Central Executive Committee to introduce a life membership scheme for party pioneers. The scheme - for members who are at least 65 years old and have served a minimum of 25 years - would recognise the important contributions of long-serving volunteers.